... and was there any point in producing them? It's been an interesting year for definitives, with two special issues running in a sort of parallel existence. The London 2012 definitives were issued in January, to be replaced a month later when the Diamond Jubilee Machins were issued. 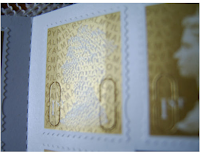 The intention was that these would be used until July when the games started, then the London 2012 stamps would be re-distributed, being replaced again by the Jubilee stamps when the games were over. That made a lot of sense for the sheet stamps, but was less straightforward for the booklet stamps. The London 2012 stamps were issued only in booklets of 6, whilst the Jubilee stamps were issued only in booklets of 12, so they could run side-by-side. But post office branches tend to get new booklets only when they are ordered and, if they had plentiful stocks of previous stamp booklets, receipt of the new stamps would be delayed until they were needed. And then there was the surprise issue of a 1st class gold book (M12L) which had been packed up in December 2011! Why was this even produced if the London 2012 and Jubilee booklets were going to be issued in January and February? As it turned out the greater than normal increase in postage rates in the spring meant that many stamps were purchased before the rise, money in stamps for postage producing a better return than money in the bank, and there were shortages in many post offices. Country definitives were distributed from stores - even to the wrong countries we understand - when Machins had been ordered, business sheets were broken up and sold as singles or blocks. After that, many people had enough stamps to last them for years and then we were distracted by the Olympics and Paralympics. And there were gold medal 1st class stamps to use. However, when that was all over, it was back to the normal programme. 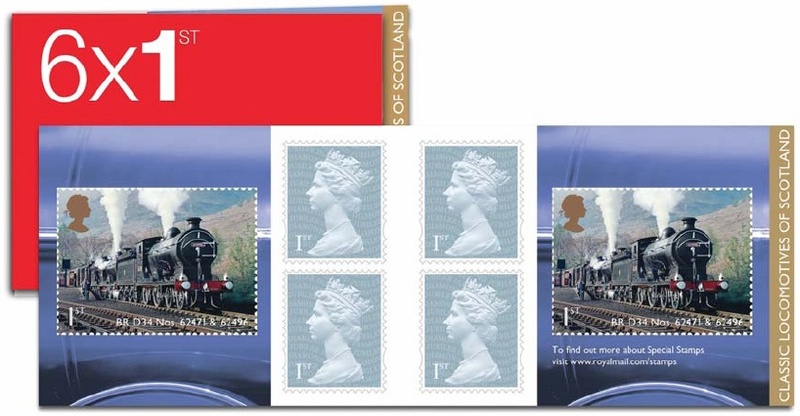 A mixed 6 x 1st booklet of Jubilee Machins and Scottish Locomotives was issued on 27 September. The Christmas booklets of 12 1st or 2nd were due for issue on 6 November, and the new colour stamps, including booklets of 6 and 12 x 1st were scheduled for 3 January 2013. But there was still one Jubilee variant missing, the one coded MSND. The booklet of 6 x 1st Jubilee stamps with this code were scheduled for philatelic release on 1 October, and released they were - from Edinburgh to collectors and dealers. Supermarkets and corner shops could be selling them, but they will have had Christmas booklets since early November. So if you know of any outlets - Post Offices, corner shops, newsagents, office suppliers, or supermarkets - which have or have had these for sale, please let us know.